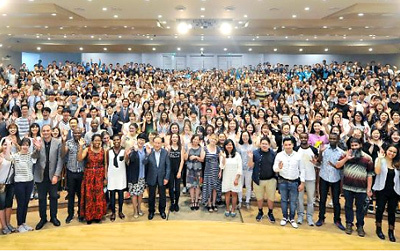 In order to welcome the members rapidly increasing in number around the world, the New Jerusalem Pangyo Temple has been newly prepared, and over 3,000 members—all overseers in Korea, local members, and the Head Office workers—attended its dedication service. In the hopeful New Year of 2016, the shout with determined will to preach to seven billion people resounded throughout the globe from Seoul, the heart of South Korea located at the end of the east where the truth of the new covenant was restored. On January 3, the first Sunday of the New Year, the Resolution Rally for the World Evangelism 2016 was held. The dedication services for the Seodaemun Church and Gangil Church in Seoul, Korea, were held. Members gave all glory to God for allowing new temples and reaffirmed their determination for the gospel work in the New Year. Publications and videos have become more useful for helping missionary work and strengthening the church members’ faith. In the meantime, the 16th Melchizedek Literary Awards and the 1st Elohim Video Festival Awards were held. To help young adult members keep their faith with right values, play a part in the world evangelism, and spend a meaningful time in their youth, the Church of God inaugurated the International Worker Bible Academy [IWBA] and held its entrance ceremony. 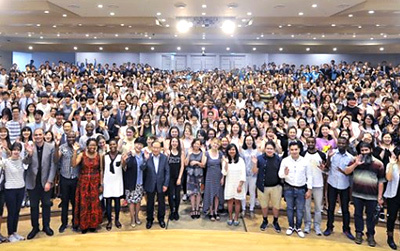 Over 200 members from 73 churches in 12 Asian countries such as India, Philippines, Vietnam, Cambodia, Malaysia, Singapore, Myanmar, Mongolia, and Japan entered Korea as the 64th Overseas Visiting Group. On November 4, 2015, the Donghae Church in Korea had its dedication service. The Churches of God in Gyeongsang Province—the Andong Church, the Doryang Church in Gumi (Oct. 15), the Jungang Church in Pohang (17th), and the Geochang Church (19th)—had dedication services after the autumn feasts. 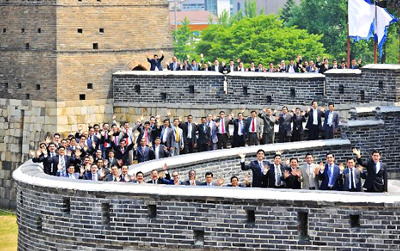 The Young Adults’ Feast of Tabernacles Preaching Festival Report 2015 was held in order to evaluate the preaching festival, present greater vision of the gospel work, and cultivate the young adults’ mindset as the protagonists of the gospel in this age. The autumn feasts in 2015 began with the Sacred Assembly of the Feast of Trumpets on September 14 (the first day of the seventh month by the sacred calendar) and ended with the Last Day of the Feast of Tabernacles on October 5.